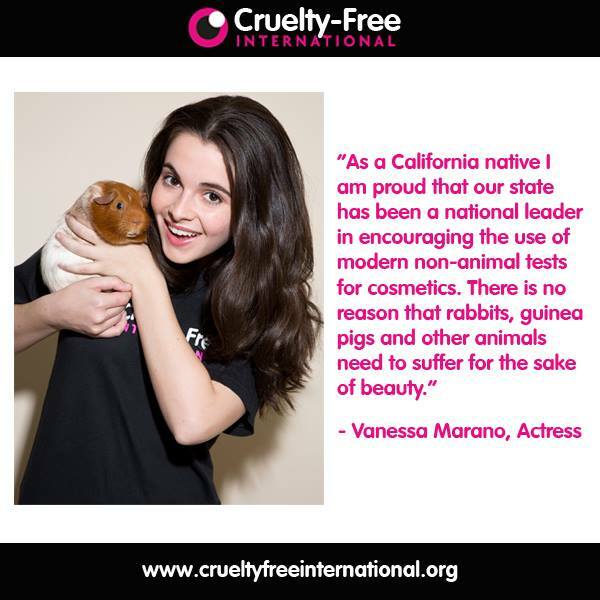 This week the California Legislature with overwhelming bipartisan support passed Senate Joint Resolution 22, titled the Cruelty Free Cosmetics Resolution. This resolution urges Congress to enact legislation that would establish reasonable deadlines for the nationwide prohibition of animal testing and urges the federal government to mandate testing alternatives which appear to be readily available and effectively utilized. SJR was approved on a bipartisan vote of 31-0 in the Senate and a bipartisan vote of 69-1 in the Assembly. In essence, the resolution asks the nation to do what California did 13 years ago -- require manufactures and contract testing facilities to use scientifically valid non-animal tests to prove product safety before resorting to animal tests. The resolution further calls for the US to set deadlines for the complete prohibition of testing and marketing of cosmetic products that have been tested on animals. Thus harmonizing US laws with the European Union -- largest cosmetics market in the world and our nation's largest trading partner. The passage of the California Cruelty Free Cosmetics Resolution is hugely significant as it hails from a state that boast one of the largest cosmetics market in the nation and a state with a long history of supporting safe and humane cosmetics. The Resolution was sponsored by Cruelty Free International and authored by Senator Marty Block (D- San Diego) who said, "Unnecessary cruelty is unforgiveable. ... Animal testing by the cosmetics industry is usually unnecessary and often unreliable. Where other means of ensuring product safety are available, they should be used." The resolution had also garnered celebrity support from Big Bang Theory actress Mayim Bialik and Switched at Birth co-star Vanessa Marano. The passage of this resolution comes on the heels of two recent international breakthroughs on this issue in Vietnam and Brazil. This May, the Vietnamese government confirmed that it will ban the use of the cruel Draize rabbit eye test for cosmetics that was developed in the United States 70 years ago and is still legal in the U.S. And, just a few weeks ago the Brazilian Congress passed a bill that will ban most animal tests for cosmetics with a full prohibition within the next five years. Despite the modern advancements in product testing and bans on animal testing for cosmetics in other countries, in the United States there is no national law prohibiting the use of animals for cosmetics testing or even requiring that companies look first to available non-animal alternatives before resorting to animal tests. This past March, Representative Jim Moran (D-VA) introduced House Resolution 4148 titled the Humane Cosmetics Act. The legislation aims to phase out cosmetic animal testing and the sale of cosmetics tested on animals by prohibiting an entity from contracting or conducting cosmetic animal tests and prohibits selling, offering for sale, or transporting any cosmetic if the final product or any component thereof was developed or manufactured using cosmetic animal testing. The Act has 46 co-sponsors and has garnered the endorsement of 133 companies and stakeholders in the cosmetics industry including luxury professional hair care brand Paul Mitchell. "Paul Mitchell is the first professional hair care brand to take a strong stance against animal testing...we just refused to do it. Since our beginning in 1980, we have been extremely proud to be cruelty free. We are honored to join Cruelty Free International in supporting the Humane Cosmetic Act to end cosmetic testing on animals in the United States. It's easy to see that our commitment to caring for all living souls as well as the remainder of the planet is a driving force in everything we do. Join us, in helping make our world a more beautiful and better place." Ongoing support from industry, consumers, and states will be crucial in driving the United States to finally take action and end cosmetics testing on animals once and for all. 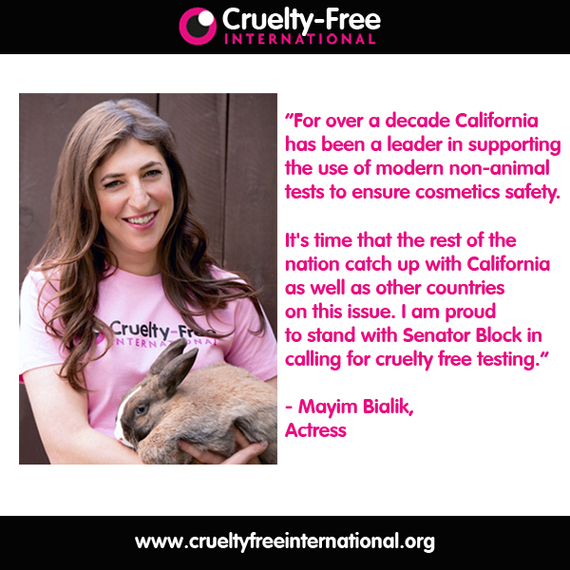 Cruelty Free International applauds California for its continued leadership on this issue.